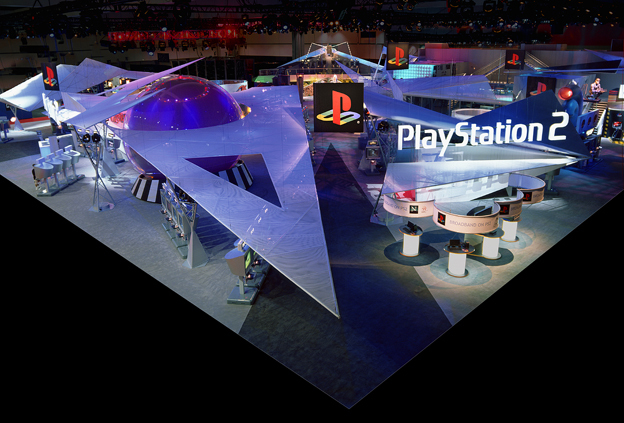 This Sony PlayStation exhibit was presented at the E3 game developers‘ conference in Los Angeles. The Japanese art of origami and the polygons of computer graphics were influences for the design of this 38 000 sq.f. show. 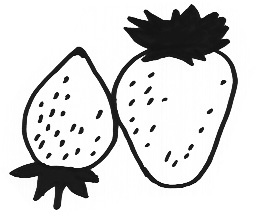 The objective was to portray new games and new platforms in an unexpected umbrella environment. 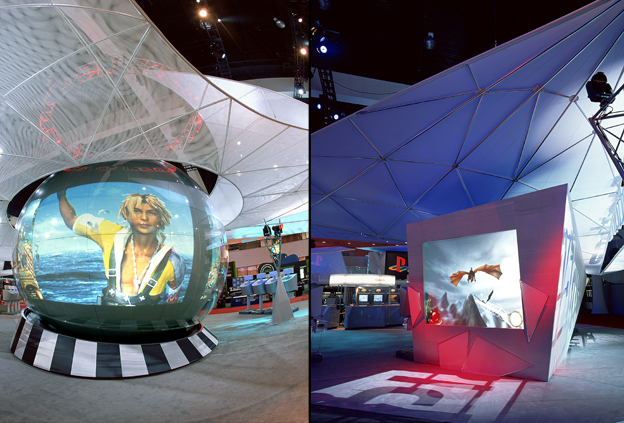 A 26 feet inflated vinyl sphere acted as a central focal point of the exhibit. It contained an array of rear projectors and lighting. 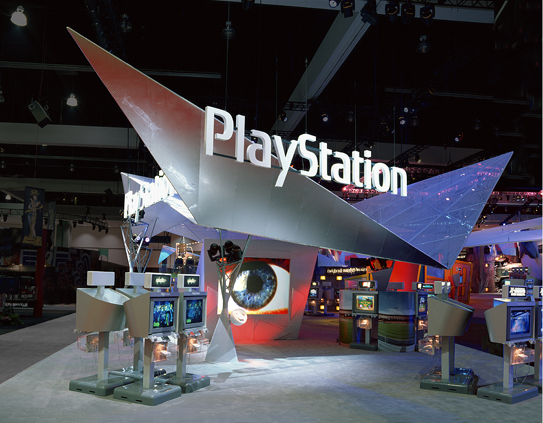 This exhibit was developed with a team of four designers while employed by Mauk Design, San Francisco, USA.